Part of the ALL-NEW LADYBIRD EXPERT SERIES- Why is it octopuses, and not octopi or octopodes?- How did octopuses evolve to be so clever? - How can octopuses see and speak with their skin? EXAMINE these crafty hunters of the seabed - shape-shifting, skin-signalling and using complex tools - their remarkable abilities are still being uncovered. 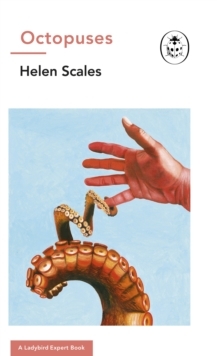 BENDY BODIES, BIG BRAINSWritten by celebrated marine biologist and documentarian Helen Scales, Octopuses is an enthralling introduction to these utterly unique creatures, the myths and fiction they have inspired, and what they can tell us about the roots of intelligence.